Do you use Google+ for your business? Interested in ways to get more exposure? With these few simple tips, you can extend your reach on Google+ and attract additional followers. In this article we’ll show you six ways to increase your visibility on Google+ and in Google search results. Google+ automatically places your verified website link in a couple of places for business pages. It will be at the top of your profile page above the Follow button. It will also appear in the official links box on your About tab at the bottom, along with any additional links you choose to share. For local business pages, instead of a Links box, your verified website link is in your Contact Information box. The other key place you want to include your links is in your page’s or personal profile’s Introduction. You can add as many links as you want (within reason) to the Introduction, which appears on your About tab. For local business pages, the Introduction is also in the Contact Information box. 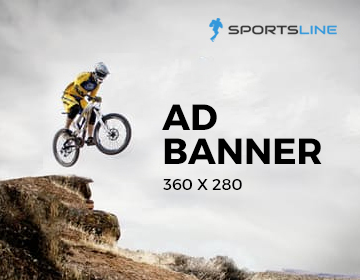 This allows you to create text surrounding your links to encourage visitors to click through to your website. So instead of just seeing your website link, you can give them a reason to go to it. Or you can link deeper into your website to specific product or service pages, valuable content and other information. Need a reason to post more on Google+? If someone follows your Google+ profile or page, they’re more likely to see your posts in Google search results. For example, when we did a search for the latest on a stage play, Okonkwo's Inquest, a post from a Google+ profile page came up first on the search results. The average person or website would be hard-pressed to get his or her name onto the first page of search results, especially when competing with news sites like Linda Ikeji and Nairaland or other international websites. But you'll get results for topics you search for on Google if you are following people on Google+ who have posted somethung about it. If you want to have a better chance of getting on the first page of search results, continue to grow your Google+ audience. Then be sure to post often, especially about topics that people in your niche or industry search for. Just as you would optimize your blog content for keywords so your posts will appear in search, you would optimize your updates on Google+ by using keywords in their text and hashtags. There are several popular social media management tools that allow you to post updates to your Google+ business page, but most of these don’t work with your Google+ personal profile. Fortunately, a tool like BuzzBundle allows you to post to and manage both Google+ personal profiles and business pages. BuzzBundle (available for Windows, Mac and Linux) allows you to create personas to manage your social media accounts. If you only have two personas to manage, you can download and use BuzzBundle for free. If you need more personas for other businesses or clients, you need to purchase a professional license for $199. You can have a personal persona for your personal profiles on Google+, Facebook, LinkedIn, Twitter and YouTube. You can also have a business persona for your business pages and profiles on Google+, Facebook, Twitter and YouTube. Once your personas and accounts are connected, you can add news streams for most of your accounts, including your Google+ personal profile. You can then comment on posts from your news stream using your Google+ profile within the software. You can add a stream for your wall to keep up with your latest posts on your Google+ profile, +1 comments and reply to comments. Unlike Facebook business pages where you’re limited to commenting only on other pages, or a LinkedIn company page where you can’t do much outside of your own page, you can do a lot using Google+ as your business page. Start by going to your profile photo at the top right of Google+ and selecting the page you want to use. You can also go to your Pages dashboard to see all of your pages and click through to the one that you want to use Google+ as. This page also summarizes your number of followers and the last post date for each page. 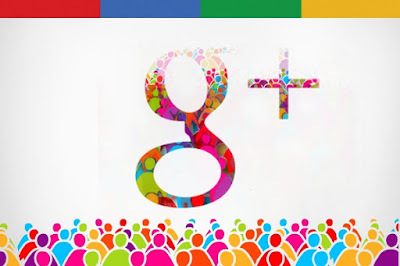 Using Google+ as your page, you can comment on any Google+ posts shared publicly by personal profiles or business pages. You can also join and participate in Google+ communities, create events and start Google+ hangouts. All of these activities help you get more exposure for your business and grow your Google+ business page followers. Google+ communities are similar to Facebook and LinkedIn groups. The one main difference is that you can use either your Google+ personal profile or your business page to both create and participate in communities. When you create a community with your Google+ business page, the community is featured on your page’s Posts and About tabs, as shown on the Unbounce Google+ page. Inside your community, your business page will be featured as the creator of the group at the top right. You also have the option to add a link to your business and other resources in the About This Community box, like Google Analytics does in their Google Analytics Academy. If you don’t want to create and maintain your own community, you can simply join relevant communities and participate in them using your Google+ personal profile or business page. Google+ Collections allows you to organize your posts by topic. For example, if you’re a photographer, you can have individual collections for your landscape photography, wedding photography and wildlife photography. If someone is just interested in your wildlife photography, they can follow that collection alone. Google+ profiles and pages that update dozens of times a day or several times hourly, like a news organization, would especially benefit from using collections. Collections allow people to follow the news they’re most interested in without being overwhelmed by a lot of other updates. For example, a big news organization could have a collection of top news for the day so people would only get a few updates of the most important headline news. The organization could also have collections for world news, news by location, politics, technology or entertainment. To create a collection, go to the Collections page and click the Create a Collection button. Type in a name for your collection and set its privacy. On your new collections page, you can click the Customize link to choose a cover photo and color for your collection. From here, you have a couple of options. Post updates directly to a collection, and those posts will also appear on your Google+ profile or page (depending on the privacy setting you chose for the collection). Or publish a post to your profile or page and select the collection to which it should be added in the To: field. Collections are automatically followed by all of your current followers or connections, so your collections start off with the same number of followers or connections that your page or profile currently has. People can then choose to follow you or your collections. As you can see, there are lots of great ways to use Google+ to promote your business. What do you think? How do you use Google+? Please share your thoughts in the comments!